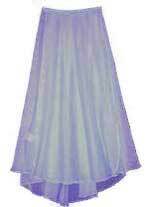 Beaded Skirt with elastic waistband. Sarino leotard and skirt are made of 'see through' vertical stripey stretch nylon Lycra. This halter neck leotard has bra and pants lining. The skirt, length 12 inches (30.5cm) has an elasticated waist and one side split 6 inches (15cm) at size C3 reducing proportionately for the smaller sizes. Kelly Skirt has a length of approx.9.5 inches (24cm) depending on the size, is made of chiffon and has an elasticated waist. reducing in length with size. with hook and eye fastener. Elasticated waist 1" (2.5cm) wide. 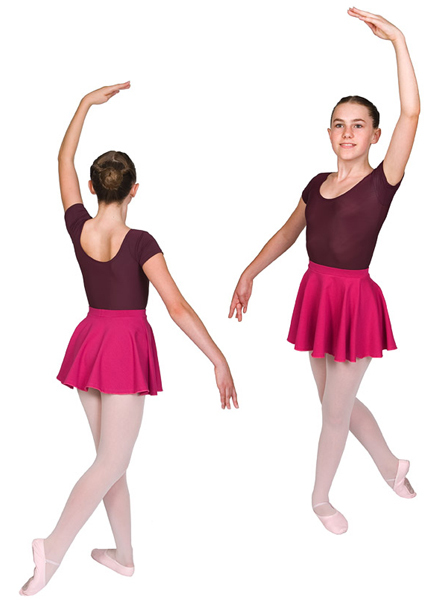 Quito leotard is made from a 'see through' horizontally striped stretch nylon fabric with bra and pants lining.The skirt, length 12 inches (30.5cm) has an elasticated waist and one side split 6 inches (15cm) at size C3 reducing proportionately for the smaller sizes. Circular skirt in various lengths with elasticated waist. Georgina skirt has a length of 9.5 inches (24cm), is made of floral georgette and has an elasticated waist. Two layered chiffon skirt with elasticated waist and hand sewn flowers. Demi Skirt is chiffon or nylon with a back and front wrap over, narrow elasticated waist and hook and eye fastening in a choice of colours. One layer of chiffon in a wrap over style. Length approx 17inch (43cm) reducing with size. Three bands of satin ribbon. 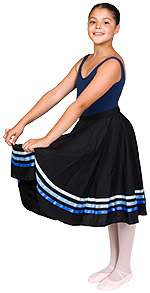 Full circle skirt with elasticated waist. 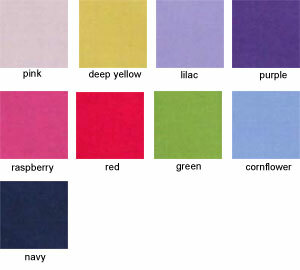 Tennis skirt with side splits and mini short attached in nylon or cotton. Chiffon wrap over skirt with choice of Elasticated waist, Tie fastening or Hook and Eye all available in a choice of colours. 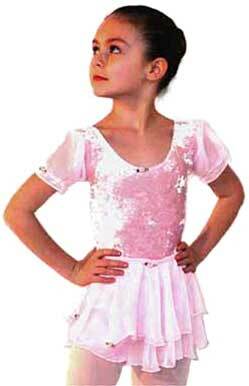 Shown here with the Verino leotard. 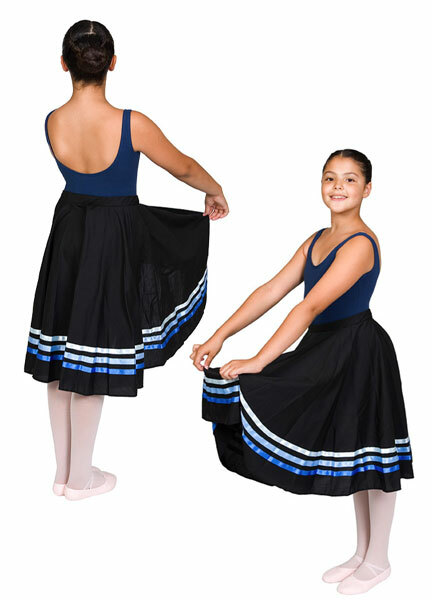 Girls dance skirts are made to order in accordance with the size charts on this page.